At the dawn of the last century, “trust busting” was the tool of progressive politicians who sought to vanquish the monopolies of the robber barons. In the digital age, politicians are in the business of building, rather than breaking, corporate power—and busting unions and workers instead. Typically, the policy debate around antitrust regulation is whether consumers will pay unfair prices for a dominant software brand or local cable provider. 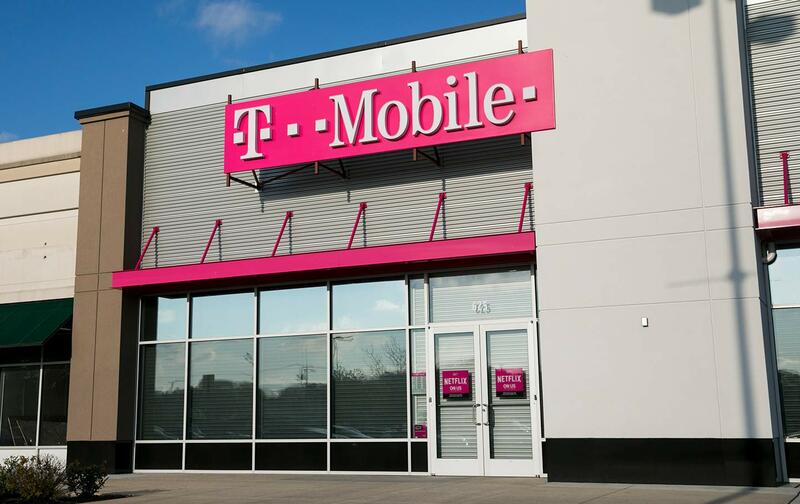 But a study by the Economic Policy Institute (EPI) and the Roosevelt Institute shows that the pending merger of T-Mobile and Sprint presents other threats to the public welfare. An analysis of the labor impacts of the merger reveals that the impending consolidation of the two wireless giants would not only fuse already massive telecommunications markets but also tighten brick-and-mortar retail-employment sectors—all at the expense of workers’ paychecks. At the hot-pink T-Mobile storefronts that now pepper shopping districts around the country, retail workers (those who market phones and other electronics and handle repairs) could see their earnings fall by thousands of dollars per year. In retail wireless markets, where job growth and earnings have stagnated in recent years, the deal would swallow up four major service providers and intensify market concentration with major impacts on surrounding communities. The damage to earnings resulting from this monopolization would be felt across the area’s labor market—meaning, the merger is likely to drag down wages not only for T-Mobile and Sprint employees, but for workers across the board. In 50 major labor markets nationwide, the study concludes that by a higher estimate, “weekly earnings will decline by $63 on average,” while the smallest projection would average $10 a week. Over the course of an average year, total income could fall by as much as $3,276. Workers in the Atlanta area would see potential weekly wage reductions ranging from $15 to $97. Weekly retail wages in the Chicago area would see declines in the range of about $12 to $75, in the Newark area, up to $86. A sales worker in Washington, DC, could would lose as much as $65. A potentially unsustainable loss for a workforce with typical yearly earnings of less than $32,000, in a city with one of the highest costs of living. The erosion of workers earnings reflects an often overlooked ripple effect of monopoly power, the evil twin in the labor market known as monopsony: When corporations merge, they strengthen their grip on the local labor market. Monopolization through mega-mergers purports to yield corporate “efficiency” that benefits consumers and productivity, yet limits options in the labor market and undermines workers’ ability to negotiate labor conditions. At the local level, Steinbaum says, “employers can set wages and set working conditions in ways such that workers can basically take it or leave it, and, workers have to eat, so pretty much, they’ll take it.” Moreover, the study, which draws from several recent analytical models, doesn’t account for potential net job loss. But merged companies tend to trim their labor costs by cutting jobs along with wages. In the electronics sector especially, following a peak in the 1990s, retail employment, according to the report, has been “declining outright since 2016 even during a relatively tight labor market.” Meanwhile labor advocates have separately projected job losses in the tens of thousands. But while current antitrust enforcement is anemic, the EPI/Roosevelt Institute paper argues that the regulatory regime is structurally corrupt and “will never be a solution to the crisis of worker power in this country.” Instead, there needs to be a check on corporations from the bottom up, through policies that empower the natural counterpoint to capital: labor. Raising the minimum wage, progressive taxation, and policies that facilitate unionization and provide workers more control over the workplace are all critical for safeguarding Main Street from the multinationals that control both what workers buy and how they work. Strengthening enforcement of labor standards generally would help offset the extreme laxity of antitrust regulations. On a more systemic level, the authors recommend programs for “ensuring macroeconomic full employment,” to enhance the leverage of the whole low-wage workforce over employers. Under the current antitrust framework, researchers say workers do not benefit on the whole from supposed “efficiencies” achieved by corporate consolidation; they instead see their job quality deteriorating in a market dominated by huge low-wage employers like Amazon and Walmart. The proposed T-Mobile/Sprint merger caps a decades-long pattern of eroding labor power, which leaves workers lacking union representation and often precariously employed in heavily segmented, non-union supply chains, where unions represent just nine percent of the sector nationwide. The T-Mobile union CWA—which commissioned the study—has criticized the proposed merger as a threat to consumers as well as jobs and working conditions. The current regulatory infrastructure for wireless companies is rooted in the deregulation triggered by the 1996 Telecommunications Act. But deregulation, and the explosion of monopolies that followed, didn’t bring all-boats-rise prosperity—in many cases, consumers have ended up paying more for less, wages have sunk, and union jobs have been engulfed by a volatile low-wage labor market. The standard framework of antitrust law tends to ignore labor factors when weighing the costs and benefits of a merger. The myopic focus on the consumer impacts—how the market price would shift for your next data plan—overlooks the potential impact on the local economy, and by extension how workers would experience the expansion of the monopolistic corporate footprint. As the Trump administration vets yet another proposed mega-merger, consumers might ask a different question: you might get a lower phone bill, but would you want to pay it with a lower paycheck? The workers affected by the pending pending deal would likely trade that lower price tag on their phone for a solid union contract at their workplace.